National League side Southport have signed goalkeeper Jon Viscosi and defender Josh Thompson, while Will Beesley has agreed a new contract. Viscosi made one appearance in the Conference for Chester last season. Left-back Beesley has recovered from a hip injury and has proved his fitness to earn a new deal. 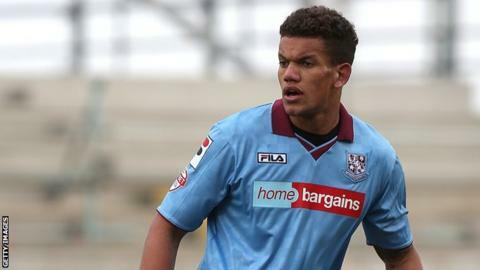 Ex-Celtic centre-back Thompson, 24, ended last season at Tranmere and impressed for Southport in a pre-season friendly against Everton. "All three signings will add depth and quality to my squad," manager Paul Carden told the club website. "Both Jon and Will have worked very hard in pre season and have shown real hunger and desire, while Josh has chosen to join us after several close-season offers."